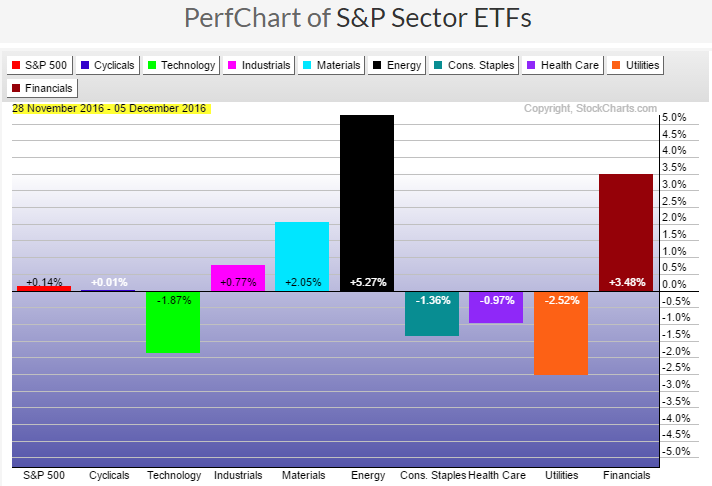 This entry was posted in U.S. Indexes and tagged Energy Sector, S&P 500, sector analysis on December 5, 2016 by Trader. This entry was posted in Stocks and tagged Canadian, Energy Sector, XEG on November 30, 2016 by Trader. This entry was posted in TSX Index and tagged Energy Sector, sector, TSX on March 6, 2016 by Trader. This entry was posted in U.S. Indexes and tagged Energy Sector, S&P 500, sector analysis on November 4, 2015 by Trader. 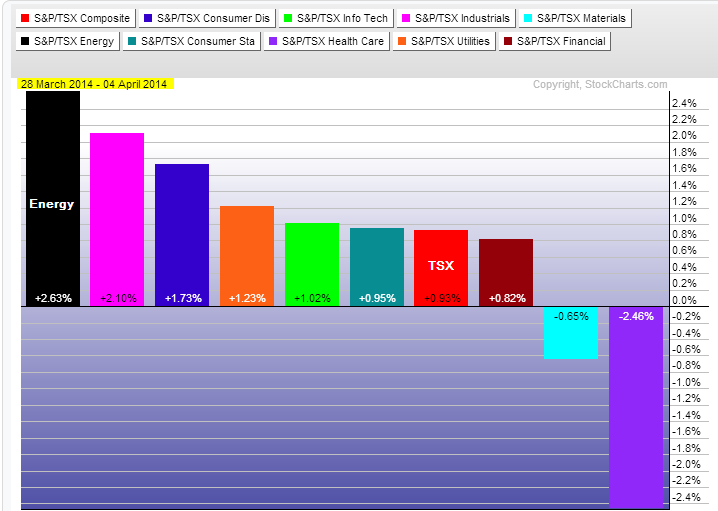 Reference the last sector performance for the Canadian market based on the ytd numbers. 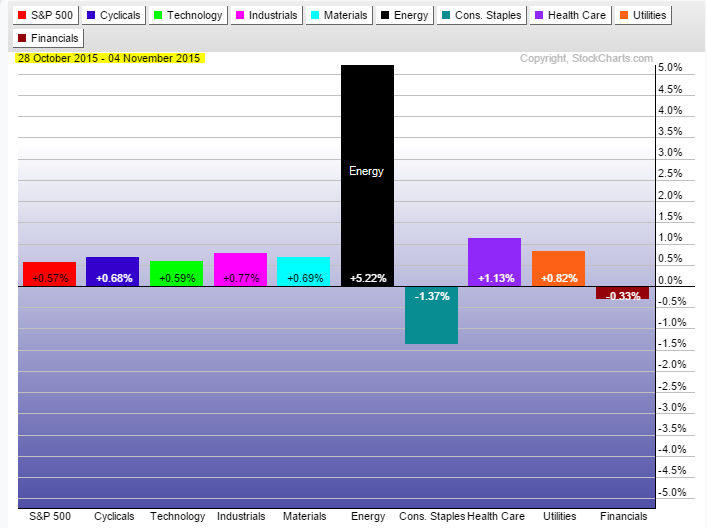 If I use the word “oversold” for energy then this is the reason for the year-end pop. But oil is still searching for a bottom and the smaller players will not participate in this rally. That advance will have to wait for more clarity on the direction for oil as WTI attempts to hold $55 and Brent attempts to hold $60. This entry was posted in TSX Index and tagged brent, Energy Sector, sector analysis, TSX, WTI on December 23, 2014 by Trader. 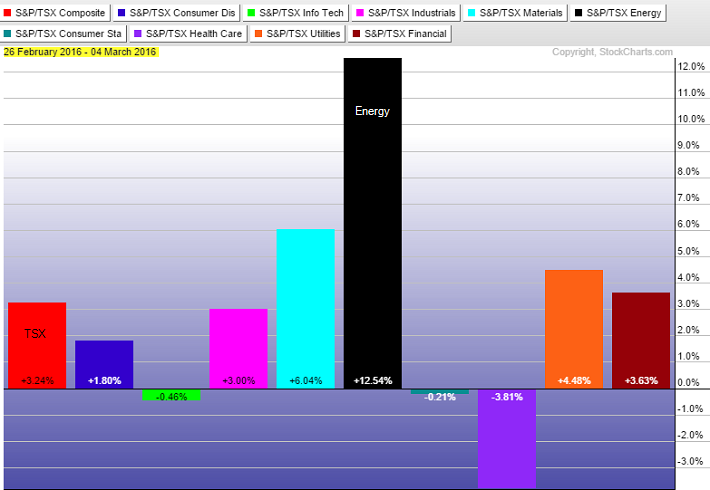 This entry was posted in Stocks and tagged candlestick chart, Energy Sector, TSX, XEG on April 4, 2014 by Trader. 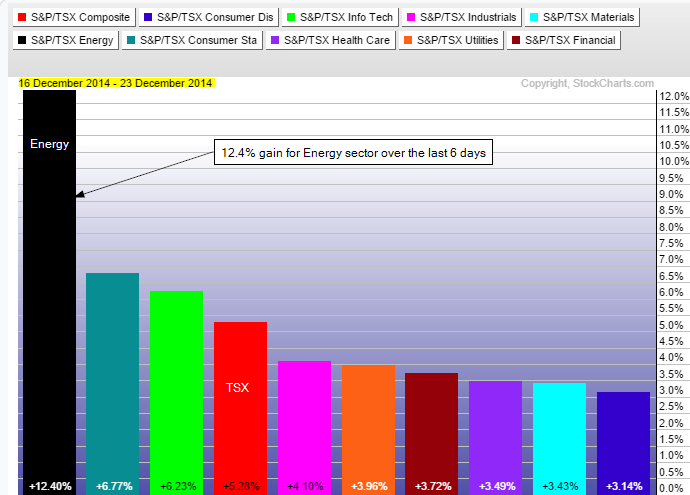 This entry was posted in TSX Index and tagged Canadian, Energy Sector, sector analysis, TSX on April 4, 2014 by Trader. 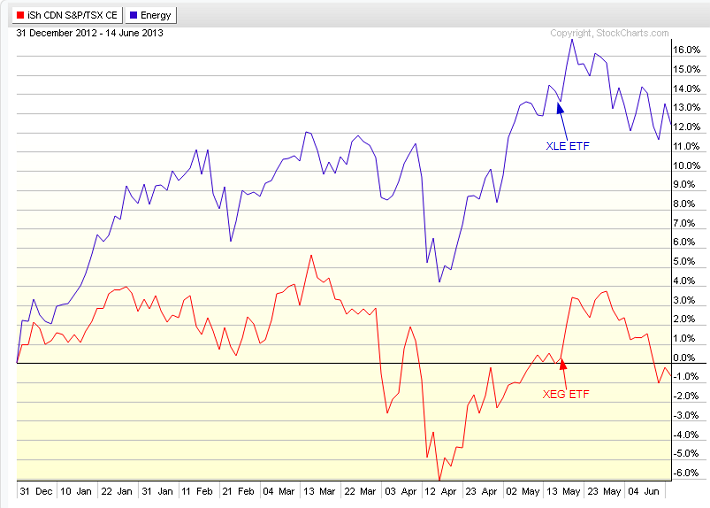 This chart is simply the YTD performance of XEG ETF relative to XLE ETF. 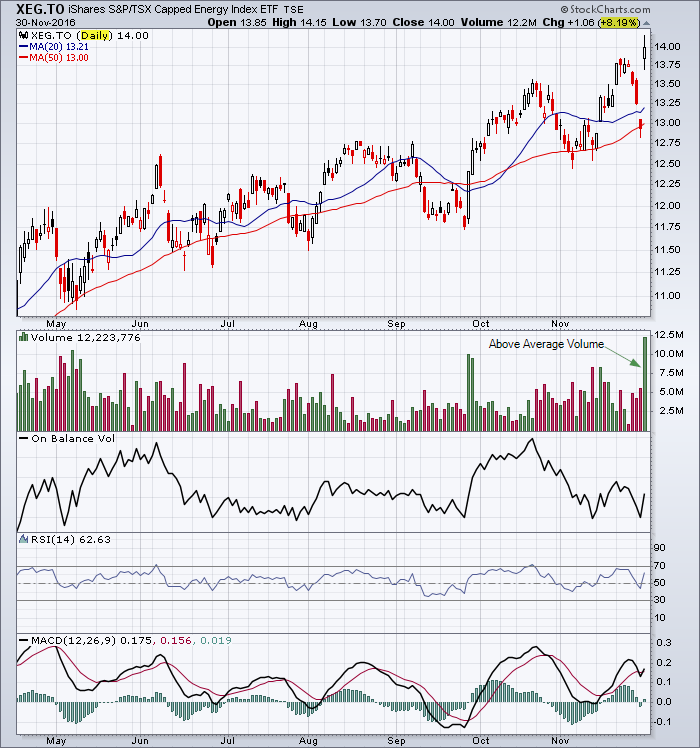 This entry was posted in Stocks and tagged Energy Sector, XEG on June 16, 2013 by Trader.